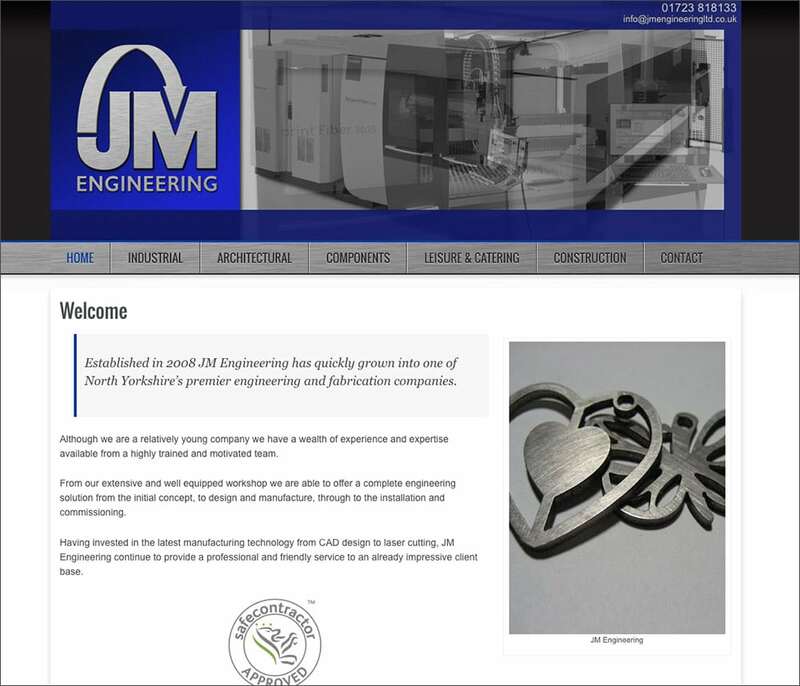 Established in 2008, J M Engineering has quickly grown into one of North Yorkshire’s premier engineering and fabrication companies. 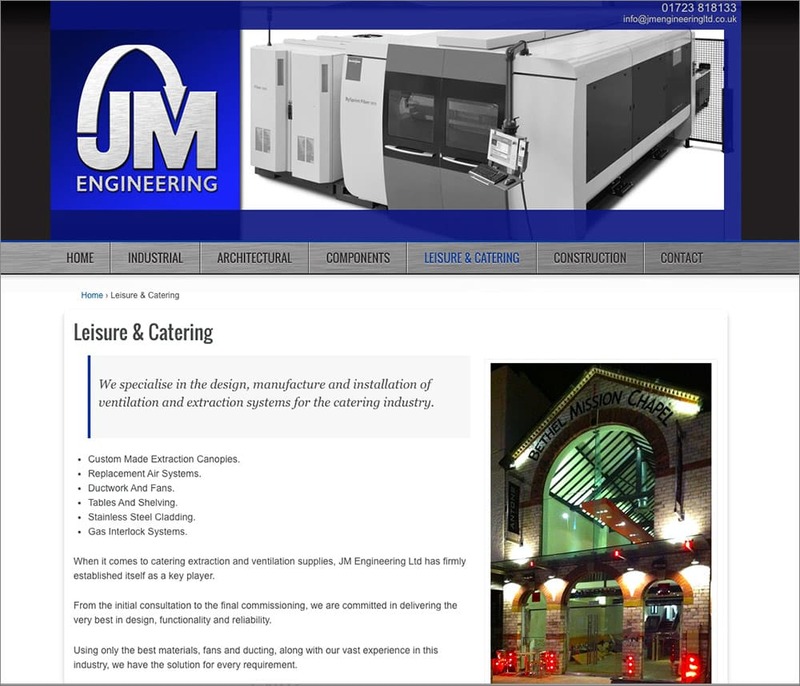 Media Vision wrote the website copy, (enhanced for search engines), took many of the photographs, designed a new logo and built a responsive and distinctive website. 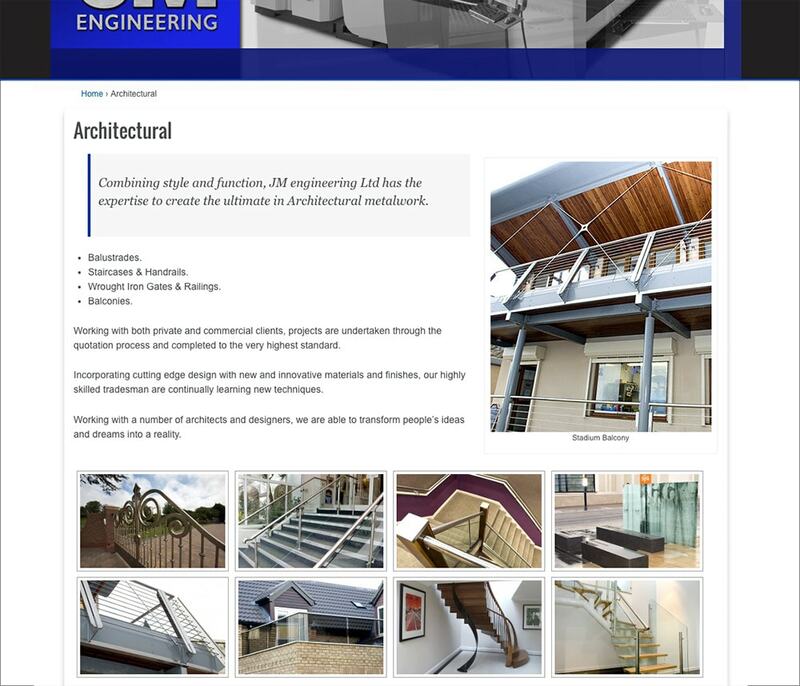 The site is responsive, and has a built-in CMS (content management system).